For voice, percussion (kitchen), computer. This piece employs vegetables as a trigger for a synthesizer, a processed voice, and kitchen percussion that is run through a delay unit all set to a recording of Julia Child cooking omelets and contrasted with a sprechstimme reading of a JC recipe. For voices, percussion and computer(s). Based on the code of two well known computer viruses, ILOVEYOU and stuxnet. This piece is a conversation between the two as they fall in love. There are three characters: Steve (stuxnet), Lovelace (ILOVEYOU) and the host computer. The performer’s voices are modulated in some fashion, the computer also has a “voice” and the conversation is broken up by the live execution of code performed on percussion instruments. The friendstrument has to be modified so that both hands are free. Then the couple performs various gestures on each other which which when touching different sounds are heard. A duet for voice and percussion, for my duo Rules of Play, with my wife Lisa Tolentino. The piece uses excerpts from children’s recipe books, which you can imagine are absurd and imaginative, which this piece is as well. The piece is an avant-garde homage to the joy of children and their innate experimental nature, as well as their inspiration to musicians like us. In 1913 a group of Italian Futurists proposed a bold treatise, that noises (of all types) deserve to be included in the musical lexicon as equals to their instrumental equivalents. With that being said, Luigi Russolo and Francesco Balilla PRATELLA decided to take this a step further and create quasi-instruments or rather Intonarumori to produce a bricolage of sounds and colors. He created categories of noises that certain types of sounds would fall. This could include things like buzzes, growls, voices, rumbles, among others. Since 1913, there have many efforts to revive the old versions of the now extinct Intonarumori. This year, urbanSTEW, decide to re-imagine this movement 100 years later. This was in part a commission by the Mesa Arts Center for their spark! Festival in March, 2013. However, instead of building mechanical versions, a strength that I do not have, we built digital versions with physical interfaces. UPDATE: urbanSTEW’s Intonarumori Project was selected as the Grand Prize Winner in the MAKE Magazine Raspberry Pi contest! Groovology II is the second installation of a series of games designed to learn and create music. This project is a collaboration with Stejpan Rajko of urbanSTEW who has developed a majority of the graphical programming. My part has been the audio design and programming. We are using Processing with libpd, consult this page for more on how to use libpd. Groovology II is an interactive music creation environment. Balls bounce around targets and are controlled through singing and clapping. A central ball can be used to knock balls out of the system. The environment uses generative music technology to create melodic, harmonic and rhythmic accompaniment. Four Scenes from the Urban Southwest (2011) created for the Arts and Business Council of Greater Phoenix’s 2011 awards breakfast. It is meant for a general arts going audience, takes recordings from the urban Southwest and expands upon their musical nature. The four scenes are subtitled: Day, Dusk, Darkness and Dawn. This is a project of urbanSTEW . Atonement (2010) is a performed sound installation for bells, low drums, water and salt. It derives its material from historical data of the war-related deaths of the 20th century. Atonement is creates a space in which people can atone and remember those who gave their lives through acts of war. This realization is programmed in C++ and the Pure Data software. Each bell is generated based on aspects of the historical data (e.g location, time period) so that each bell is unique and represents a person from previous time. 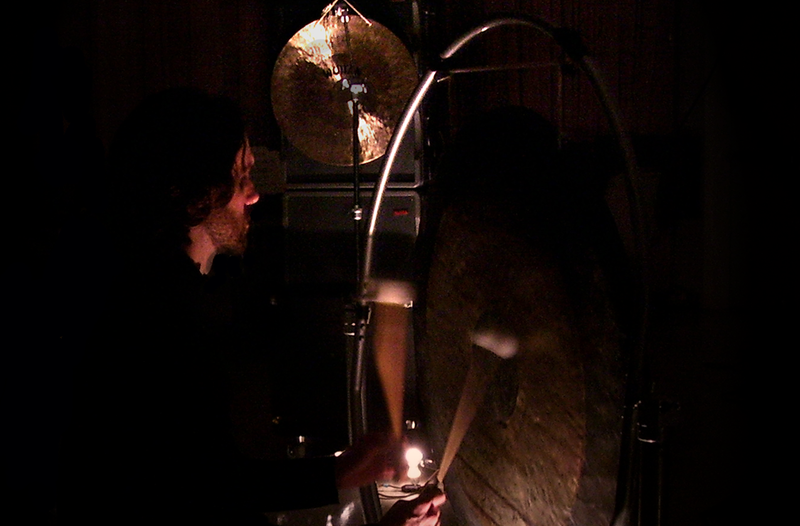 Nightingale (2009) is for percussion and recorded nightingale. It is inspired by a similar work by Bernhard Wulff, a German percucssionist from Freiburg. The piece is very free in its presentation but the percussion should ever so slightly accent and contour the phrases of the bird. This piece is also performed as a duo with Lisa Tolentino and our group Rules of Play. Desert, Forest, Tundra (2006 – 2008) was an experiment and performative artistic work that took place over two and half years and three locations. Desert took place in Carrizo Badlands in the Anza Borrego State Park in California, Feb. 26th, 2006. Forest took place in Sandwich, NH on the property of Jerry Dodge, a family friend, September 30th, 2006. Tundra took place somewhere near the McClaren Lodge in the Denali Plain, central Alaska, June 25-26th, 2008. Desert, Forest, Tundra was at its core about experience.